for april's book i read the bell jar by sylvia plath. this book is not for the faint of heart. it explores quite a depressing/hopeless outlook on life. but in a really fascinating way. it's human nature to get sad and feel down trodden — so i felt like i could relate to esther, the heroine of the book, in a small way and some of the words written perfectly describes things i've felt before — but i thought it was really interesting to try and understand a brain that actually has no desire to feel better. i couldn't help but love esther in all her cleverness and i was wholeheartedly rooting for her to pull out of her deep funk. plus, it made it even more darkly fascinating to read up on the book once i finished it and realize it was "semi-autobiographical." i got that feeling from the beginning, but there's a disclaimer at the beginning of the book that says "this book is a work of fiction. all characters and events are a product of the author's imagination. any similarity to real persons, living or dead, is purely coincidental." but after reading about sylvia plath's life, i get the feeling that there's a lot more truth to this story than she may have let on. plus, the writing was nothing short of phenomenal. her style reminded me of an even more cynical version of j.d. salinger's in catcher in the rye, so i was not surprised afterwards to read a review from robert taubman calling the bell jar "the first feminine novel in a salinger mood." he basically put my thoughts into one much more eloquent phrase than i was able to...ha but all in all if you like catcher in the rye and you're fascinated by the human psyche and able to stomach some pretty sad stuff, the bell jar is a must read. "i wondered if all women did with other women was lie and hug." "i felt my lungs inflate with the onrush of scenery — air, mountains, trees, people. i thought: 'this is what it is to be happy.' 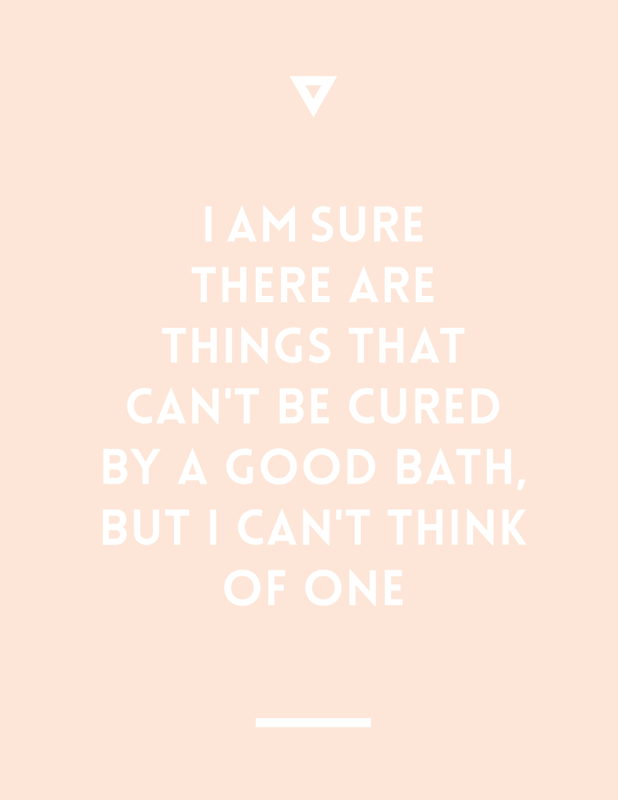 "
"i am sure there are things that can't be cured by a good bath, but i can't think of one." This book is amazing. Such a good read. Adding this to my list. T H A N K Y O U. Also, if you enjoyed this one you might (by the sound of The Bell Jar) enjoy my favorite book EVER The History of Love by Nicole Krauss. It's so sad but incredible. I loved the bell jar when I read it a few years ago. A classic! this has been on my to-read list for a little while. seeing as how catcher in the rye is one of my all time favorite books, i think i am going to have to move this one to the front of the list! thanks for the little review lady! i keep hearing about this. i just need to sit down and read it. i can't peel myself away from steven king. but i need to! Oh my goodness. Am I crazy?! I am only looking at this post because I was just reading The Bell Jar and at feeling queezy throughout at some of the descriptions of suicide but particularly the blood parts. And then at the part where is uncontrollably loosing blood after loosing her virginity. Black dot appeared infront of my eyes and next thing I new I was sitting up sweating like feeling like I myself had just had shock therapy. I fainted. It was very scary indeed. Before now I had only fainted once from the sight of blood when I cut my finger. However I think it runs in my family because my brother has numerous times. However before now watching gruesome scenes have not fazed me. I think maybe the descriptions are worse because it leaves more to the imagination! I immediately needed to seek wider knowledge to make sure I wasn’t crazy! Can anyone relate?